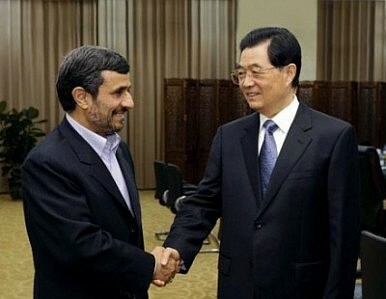 Financing updates to Iran’s Persian Gulf port would significantly strengthen China’s position in the Middle East. China has offered Iran 60 million Euros (US$78.27 million) to upgrade its Chabahar Port on the Persian Gulf near Tehran’s border with Pakistan, The Indian Express reported on Monday. India has long been involved in the construction and maintenance of Chabahar Port, which Delhi uses as a transit point to Afghanistan. Chabahar Port has become all the more essential to India since China agreed to formally assume control over Pakistan’s Gwadar Port last February. Last month, during a trip to Tehran, India’s Foreign Minister Salman Khurshid said India could provide up to US$100 million to Iran to upgrade the port, despite pressure from the United States against such a project. However, The Indian Express reports that Iran has not given the official go-ahead for the project yet, and in light of the Chinese bid, Delhi will seek to fast-track negotiations with Iran over securing the contract to upgrade Iran’s port. Financing the upgrade to Chabahar Port would significantly strengthen China’s position in the Middle East. With the assumption of operations at the port in Gwadar, Iran stands as the last country separating China’s presence in Pakistan from its growing role in Iraq’s oil industry and the greater Persian Gulf. More broadly, China is seen as constructing what has been called a “String of Pearls” strategy to acquire foreign bases in the Indian Ocean that stand between the Chinese mainland and the Middle East, where it gets most of its oil imports from. These include ports in Bangladesh, Sri Lanka, Myanmar, Tanzania, and Sudan, along with the one in Pakistan. Last month, a Chinese think tank released a blue book calling for Beijing to deepen its presence in the Indian Ocean. “China’s diplomatic strategy [towards the Indian Ocean] in the past has been based on the traditional concept of moderation, and striven to maintain the status quo,” the blue book said, The Hindu reported. China’s the largest consumer of Middle Eastern oil and got 60 percent of its oil imports from the region in 2011, compared to the 26 percent of U.S. oil imports that came from the region that year. To meet its growing energy needs, Beijing has significantly deepened its presence in a number of countries including post-Saddam Iraq. It has also gradually become more involved in Middle East diplomacy, most notably the Israel-Palestine peace process. Plus, Chinese drones, South China Sea investment opportunities, and more. Weekend links.